As was mentioned in a previous post about the Feng Shui Black Tortoise, animals play an important role in Feng Shui and Chinese tradition. There are four main animals associated with the cardinal directions: Black Tortoise, Red Phoenix, White Tiger, and Green Dragon. But, Feng Shui is also tied to the other 12 auspicious animals in Chinese astrology on the zodiac that is associated with the five elements as well as the cardinal directions. These 12 animals are part of the Zodiac or the Sheng Xiao which is based on a 12-year cycle with each of the animals designated for one of those 12 years. Therefore, every 12 years, one experiences his/her birth year. This year is the year of the monkey, and so the monkey’s year will not return until 2028. The animals represent personality traits and qualities that those born in that particular year will possess. The Zodiac is not to be confused with western astrology star signs, where a sign is given to someone based on where their birthday lies within the year. Both of these types of astrology have a similar basis but are not the same. The 12 animals are the pig, rat, ox, cockerel (rooster), dog, monkey, goat (or sheep), horse, snake, tiger, rabbit, and dragon. Each animal represents a certain personality type. It’s quite fun to read the descriptions and decide where one or one’s family members, friends, or partner lies, and see if it matches the truth! Because of life’s uncertainty, people enjoy finding little truths and places to belong. It’s only natural to want to be a part of something, even a small category like this, to be able to understand one’s or another’s personality a little better. It can help improve relationships, lifestyle, and happiness. Let’s begin with the monkey since 2016 is the monkey’s year. A person’s zodiac year is called Ben Ming Nian, and for many, especially in China, it is important to do one’s best to bring oneself good fortune and success. That year is a special one and can bring out a lot of superstitions, so people may wear a certain thing or color or use Feng Shui to place their auspicious animal in the right place to encourage luck! 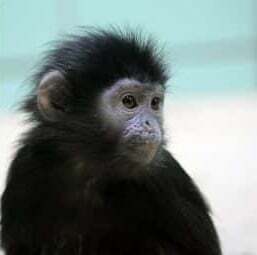 The monkey is quick and clever, ready to learn new things and will catch on fast. Someone born in the birth year of the monkey will try very hard to get things right but will also be very competitive. They can be self-centered and forget to care about others. Next is the pig. The pig is loved by all and is compassionate and kind. They have difficulty in saying no, so they may become victim to those who would like to take advantage. The rat is intelligent and good at business. These types of people are planners and budgeters but are also very social and attract a lot of people. They may tend to gossip. The ox is dependable and strong. They work hard, follow through with their plans, and get things done. They may lack in social areas such as having a sense of humor, but they are good providers. Those born in the year of the cockerel (rooster) are organized and meticulous and also very stubborn. They do not shy away from conflict or from sharing what they think! The dog is humble, loyal, and devoted, once they decide they want to form a relationship with someone. They are kind and supportive but if crossed, can also be nasty. The tiger is an unpredictable animal. These types of people make rash decisions and are adventurous but chronically unreliable. They are fun and want to experience everything but can also be dangerous. The goat (sheep) is not usually a leader but is more prone to being compliant. They are sincere and gentle and also very sensitive to criticism. They are good listeners but not good solvers. A person associated with the horse symbol is an independent person. They want the freedom to do their own thing and are wary of people who try to tie them down. If in a relationship with a horse, don’t hold too tightly or they will run away! Horses need space and can be headstrong and industrious. The snake is the wise animal. They think and analyze and weigh decisions before making them. They are philosophical and good listeners. They may tend to keep to themselves. Someone born in the year of the rabbit may be cultured with refined tastes, enjoying the more beautiful things in life. They are social and kind and hardly get into trouble. Lastly, there is the dragon. This is the most fortunate of all of the animals on the zodiac. These people are strong and active, not ones to stand by and watch things happen. They are fiery, confident, and risk-takers. They are also quick to forgive. These 12 animals not only represent personality and character traits, but they are also closely tied to the five elements and the cardinal directions. The five elements are water, wind, earth, fire, and wood. These elements are interconnected and are intended to work together in harmony if balanced. The pig, rat, and ox are associated with water, and the directive on of the north; the dog, cockerel, and the monkey only are tied to metal and the west. The goat (sheep), horse, and snake go with fire and the south. And lastly, the element of wood and the direction of east are associated with the tiger, rabbit, and dragon. The earth is merely the center of the compass and therefore has no direction and no animals tied to it. It is essential to understand which element and which direction go with which animal to know how to implement good Feng Shui in the home or the workplace. For example, if one’s zodiac animal is a snake, they should place the element of metal (a figurine or other object) in the west part of the building to help encourage good luck. Therefore, those who want to apply Feng Shui to their lives should place the element of their animal in the direction that it’s associated within the home or work area. This is the solution to providing “good” Feng Shui and not “bad” Feng Shui, which could affect one’s life negatively as has been mentioned in previous blog posts: bringing about depression, low mood, negativity, bad luck, etc. There are a few ways/suggestions to use good Feng Shui and include these elements in the home according to the zodiac animal. For water, add a tank of goldfish or a bowl of water with candles to the north. For metal, use a figurine, piece of artwork, or another metal object and place it in the west. For fire, clay objects are often used because they have been made with fire. Lighted candles would also work, but it isn’t possible or safe to keep them lit at all times. For wood, add a wooden box or branches to the east. These methods can be used at all times, not just in the year of one’s zodiac animal. They also need to be used according to one’s birth animal. Good Feng Shui brings good luck, and bad Feng Shui brings bad. That’s easy enough to understand, and these methods would be simple to implement in one’s home or work area. The signs of the zodiac are fascinating, and how they have been used for thousands of years in Chinese tradition to bring good fortune, luck, success, financial growth, improved business, and improved relationships is astounding. If one is just a beginner or even a skeptic, it’s worth a try to start slowly and observe the result. If luck and success can be encouraged in the craziness of life, why not do all that we can to do so?